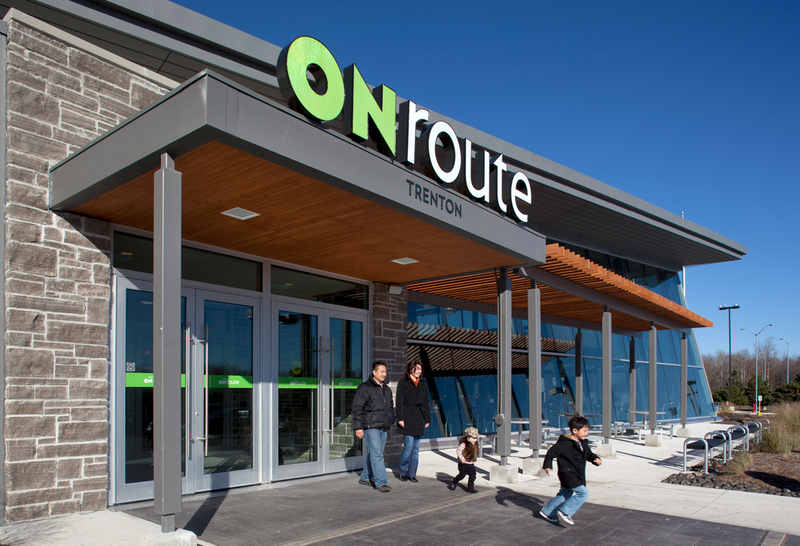 ONroute Service Centres are bright, inviting and iconic roadside beacons for Ontario highway travelers in need of rest. Designed to reflect a distinctive image, the ONroute Service Centres are built for a 50-year lifespan, embrace integrated universal design principles and are environmentally sustainable. The expertise of Human Space* team members was essential in realizing the extensive sustainability and accessibility features of these buildings. Sustainability Strategist Michelle Xuereb has in depth working knowledge of the LEED programme, and her experience was an asset that the design team could rely on when guiding the developments through the certification process. 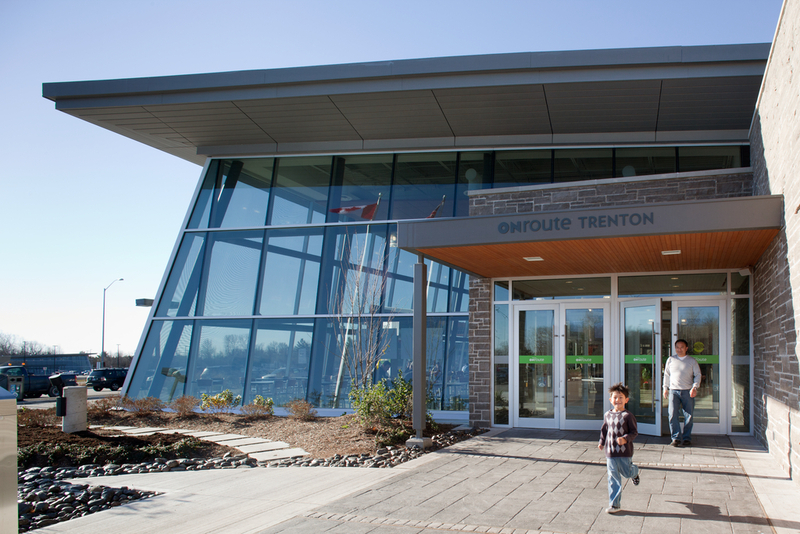 Each ONroute Service Centre achieved LEED Silver status with additional environmentally responsible and sustainable design features which can be found throughout the spaces, including significantly reduced water usage in the washrooms; high-efficiency lighting systems and daylight sensors; high-performance thermally broken glazing units; and a well-insulated, air-tight building envelope for optimized energy performance. Accessibility Champion Susan Ruptash was on hand to consult for the accessibility features that started from the exterior of the building and continued throughout the service centre interiors. 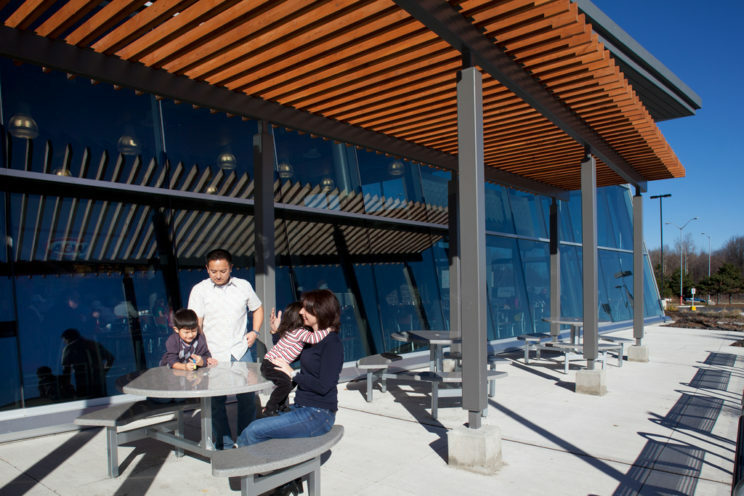 Sites are served by accessible paths of travel that lead into each of the centres, where accessible counters and universal washrooms with hydraulic adult change tables are provided. Additionally, the centres feature glazing that is clearly identified with high-contrast visibility strips; slip-resistant matte flooring; and signage with sharp colour contrast and Braille. The ONroute Service Centres seamlessly integrate some of Human Space's core concepts, with elements that address accessibility, sustainability, and wellness. 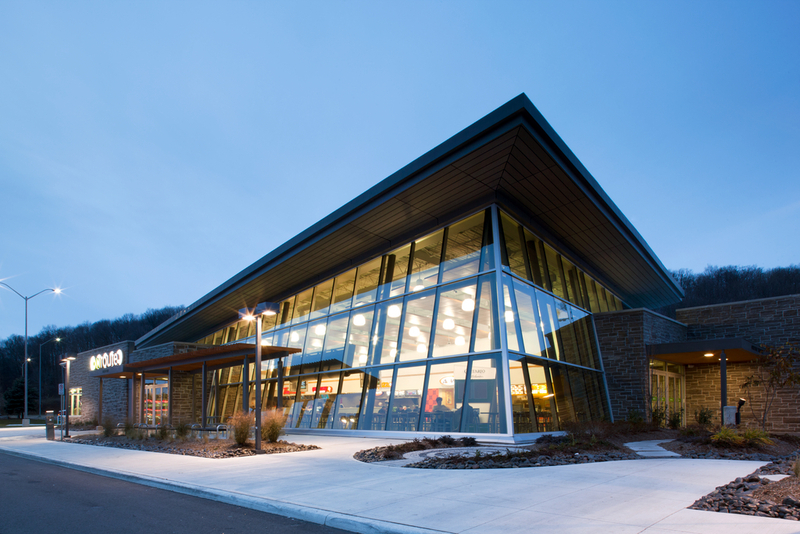 Environmentally responsible and sustainable design features can be found all through each of the service centres. Each centre has a continuous route from the accessible parking area and passenger drop-off area to all spaces within the facility. Glazed doors and sidelights are clearly identified with custom-designed high-contrast visibility strips. A broad range of accessibility and universal design measures were implemented to accommodate all visitors of varying abilities. 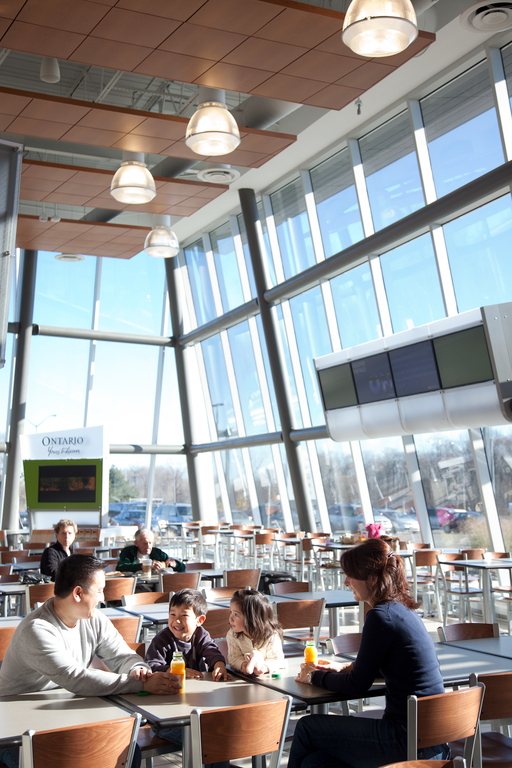 Natural daylight is provided for 75% of occupied spaces by strategically placed skylights and by large expanses of fritted glazing in the main public area.